Merchants around Westfield State College (Westfield, Ma.) seem to have taken to the campus card Owl Bucks program in a very positive way. 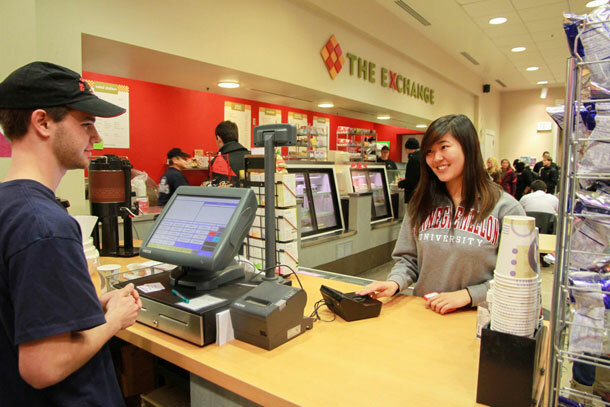 The program launched two years ago enabling spending at both on campus at places like Subway, Dunkin’ Donuts and the campus bookstore as well as off campus at about 20 retailers including CVS, Applebee’s, Elm Pizza, and Friendly’s. Westfield has 5500 students and their monthly spending via the Owl Bucks program has more than doubled since last year topping $60,000 in September. Participating merchants interviewed for a local news article reported that the program was good for business. “We are starting to get the college students here at the restaurant,” said one. Others had equally positive comments about the program’s usage and fees. Perhaps there are lessons for campus card programs to learn juxtaposing this local news report from Masslive.com with a less favorable reaction from UC Berkeley’s off campus merchants. A Wesfield merchant mentioned, “It’s the same as a credit card. It goes right into my account, and they take a small percentage of every sale.” It seems several keys to success are summed up in this single sentence. First, this deli and ice cream store owner thinks the fees are fair and comparable to credit cards. Second the money goes “right into” his account. Participants interviewed about the Berkeley program suggested they perceived the fees to outweigh the additional sales volume and they were settled monthly meaning they had to wait a long time to receive their funds. The Westfield program is managed by Off Campus Advantage (OCA), an offering from campus card provider CBORD. OCA representative Shawn McCarthy told CR80News that rates are important but daily settlement really is crucial to the success of an off campus program. He gives the example of a pizza merchant he once spoke to who was reconciling every 30 days with another program. The merchant told him, “I was so successful I was almost out of business.” Certainly settling once a month can cause serious cash flow problems for a small business owner. It seems that the lesson may be fairly basic. Rates may vary based on the program and merchant makeup, but cash flow is king. As McCarthy points out, a merchant will complain about rates if they have to wait for their money, so settling is the big factor.